ElodieMae.com are proud to preview the next miniature release in the Pin-up range. Mae-Anetta. 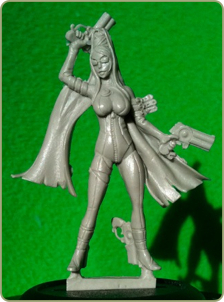 (sculpted by Steve Buddle) She will be ready for Pre-order on the 14/01/11. Thank you.